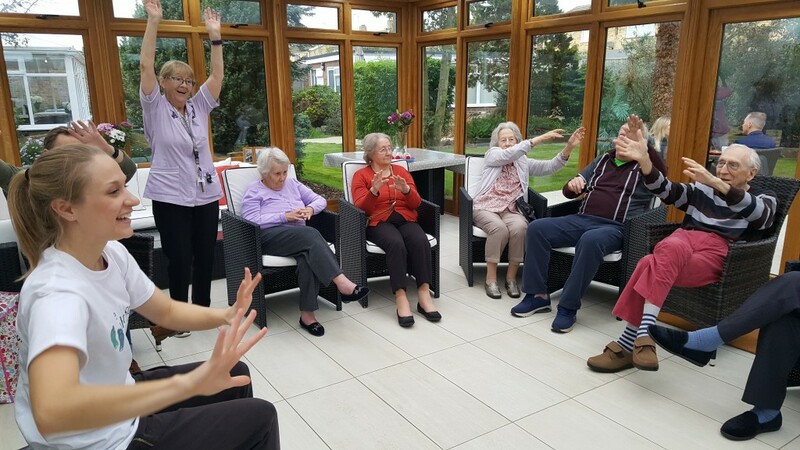 One of the care homes we visit, Hale Place, was filmed for a documentary by the BBC as an example of an outstanding care home. 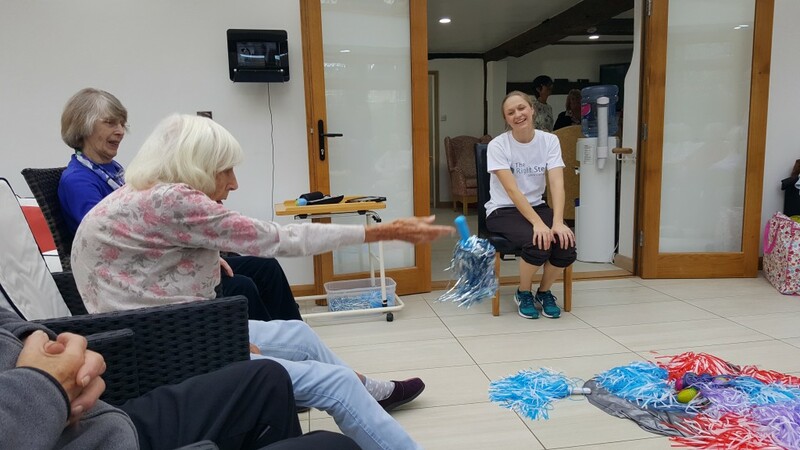 The staff and residents were asked to chose their favourite outside entertainment providers to come and be filmed on the day… they chose Active Armchairs (our seated dance sessions) and Nightingale Dogs. I went along with TRS Teacher and Active Armchairs Facilitator, Steph, on the day of filming! When we arrived interviews were taking place in the garden. BBC presenter, Fiona Phillips talked to the manager and some of the residents’ relatives whilst we were there. Steph introduced me to staff and residents then we began class. Although it was an unusual class with various strange things happening for filming, it was mostly has normal and everyone had a lot of fun. Everyone kept telling me how much they enjoy Steph’s classes, it was a pleasure to hear. They call Steph ‘Dancing Queen’. Steph’s great. The first time she came for a taster, I said you have to get her in every week. One lady didn’t join in with anything, but seated dancing she does. She loves it. It’s great for them all. They don’t all join in with everything, but they all do some. They love the choice and the music. Steph used lots of props and they built up on the ‘silver puddle’ as the class continued. Egg shakers, pom poms, long elastics and scarves all had a place. There was lots of rock ‘n’ roll music because that’s the residents’ favourite type as well as some spontaneous singing from one of the residents and Steph. The most notable began ‘good morning, good morning, we’ve talked the whole night through, good morning, good morning to you’ and continued because everyone joined in. What a start to class! I left with a huge sense of pride and enthusiasm for more Active Armchairs. What a way to go back to work… it was my first class since maternity leave! Here’s a video about our time there.